This is one of our favorite snacks and they are so good on salads. But who are we kidding because I’d eat a whole can worth as a snack. There’s a million way to make these but this is one of my faves. Pre-heat oven to 400 degrees. In a bowl, toss chickpeas, a little avocado oil, teriyaki sauce, and sriracha. 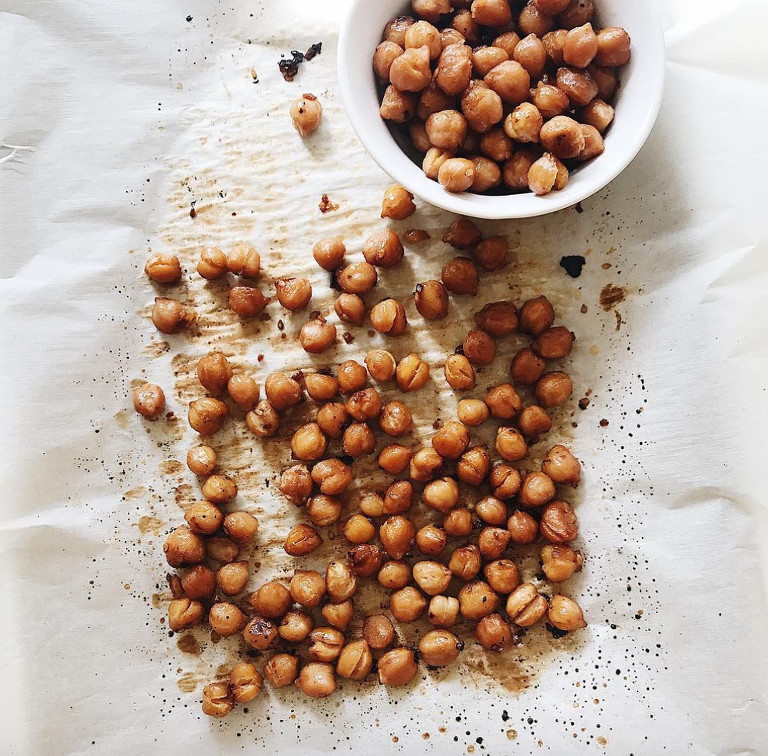 Spread chickpeas onto a pan with parchment paper (makes clean up so much easier). Bake for 10 min. Roll the chickpeas around a little and bake for another 15 min or until desired crispiness. Enjoy! I dare you to not eat the whole tray in one serving.